On Friday night, while delivering late-night fast food to my fiancé at work, I drove around the outer reaches of my Midtown Detroit neighborhood for the first time since I put my bike up for the winter. I felt a bit like a stranger in a strange land as I passed gaggles of young professional types out walking from bar to bar, brand-new restaurants, and soon-to-open luxury apartments in renovated former eyesores. This new Detroit looks a lot different from the one I moved to in 2009, when we still had abandoned sky scrapers downtown so derelict that actual trees were growing from the rotting roofs. Dan Gilbert was just starting to implement his tech hub transformation plan, but downtown was still a ghost town once the workday crowd headed back to the suburbs. 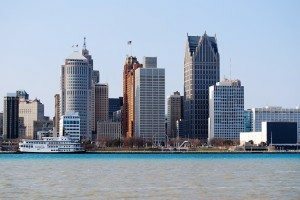 Back then, right as the Great Recession was unfolding, both friends and family questioned my decision to move to Detroit, a place they saw as irredeemably crime-ridden and poverty-stricken. Today, they can’t wait to ask if I’ve been to Shinola yet, or how close I live to the retail district being built around the new Red Wings stadium. What has happened in Detroit is, in many respects, remarkable. Despite a deafening chorus of white-flight naysayers at every turn and a crumbling municipal infrastructure that made things more difficult than they should be, young innovators fueled in no small part by old philanthropic money have managed to make Detroit exciting and fun again to the outside world. But there are still a lot of problems to be solved here, and the city has never quite been the overhyped hipster utopia that some of the more breathless accounts of its revitalization make it out to be. Writer Aaron Foley is a lifelong Detroiter who has dependably been a voice of reason and well-placed skepticism when it comes time to discuss the Detroit Miracle in the national press. In various pieces for outlets like Jalopnik and The Atlantic, Foley has beautifully described why Detroit is not a city that was without worth until some beardos from Brooklyn came here and planted their flags in the ground. When every coastal reporter was hot to trot about Slow’s Bar-B-Q, Foley was there to remind us that a resurgent dining scene is not the same as a thriving city, nor should it be credited with Detroit’s turnaround. He’s rightly mocked the “I’m more Detroit than you” authenticity battles that seem to crop up between transplants and even newer arrivals. 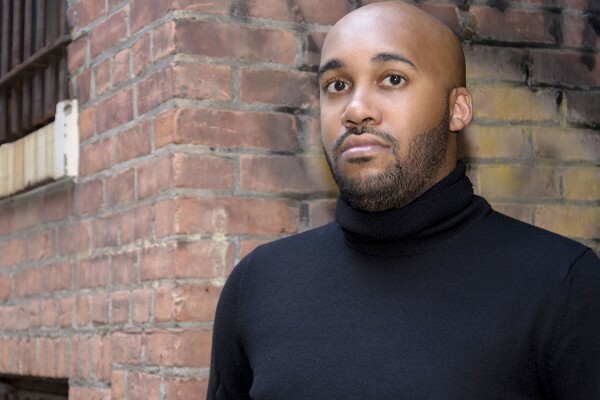 He’s also educated an untold number of readers on the long and proud tradition of black entrepreneurship that has kept Detroit afloat even during the leanest, meanest years. In December, Belt Publishing issued Foley’s first full-length book, the appropriately titled “How to Live in Detroit Without Being a Jackass,” which Belt describes as “a social guidebook for coastal transplants, wary suburbanites, unwitting gentrifiers, curious onlookers, die-hard natives, and everyone in between.” Belt sent over a review copy, which I blew through in one sitting before Foley and I met up for an interview. Foley said the project came together after he wrote a widely circulated Detroit explainer for Jalopnik in 2013. He successfully pitched the folks at Belt on expanding the article into a book and got to writing, a six-month process that took place largely at Honest John’s, Motor City Wine, and other locations that offer libations and free Wi-Fi. Chapter 13—“How to Do Business in Detroit”—is devoted to entrepreneurial endeavors, and it’s packed with great advice. He begins the chapter comparing two brands associated with the city—Vernor’s ginger ale and Shinola, maker of luxury leather goods, bikes, and watches—and how the thorny issue of legitimacy perennially comes into play in Detroit. A big deal was made when Shinola decided to open a flagship store in Midtown a few years ago. The national press ate it up; the genius marketers at Shinola had managed to equate buying high-end goods from its store with supporting Detroit’s revitalization.